The Test Centre Training in Dartford is a state-of-the-art training facility offering a wide range of MOT courses from annual training to qualifying as an MOT tester. Director Ian Wills, who also operates The Test Centre in Deptford, discusses why this was the right choice for his MOT training business. When considering which supplier to use, Boston was the logical choice. I already had their equipment installed in my MOT testing centre, currently the busiest MOT centre in the UK, which meant that I knew I could depend on its reliability and longevity. The team are also spot-on when it comes to listening to your needs and providing advice. When we started discussing the project with Ross, Boston’s Sales Manager, we hadn’t yet decided on the premises. We looked at a couple of sites with him and decided to go with the second option based on his feedback; it was definitely the best choice and gave us the right space and configuration for the different training zones we had in mind. From there on, Boston took care of the planning and drawings, and oversaw the groundwork before installing a complete MOT Class 7 OPLT/ATL bay. The installation went smoothly and was carried out by Boston engineers in just four days. We were so pleased that we subsequently asked Boston to return and install an OPLT Class 4 vehicle lift to create a further training area for underside inspection. The Test Centre Training opened in June 2016, and we already have high demand for all our courses. Alongside our knowledgeable, qualified trainers, it really helps that we have a professional site with dedicated training zones, separate classrooms and professional, user-friendly equipment. In the end, we know that we made the right decisions from all the amazing feedback we receive from our trainees. 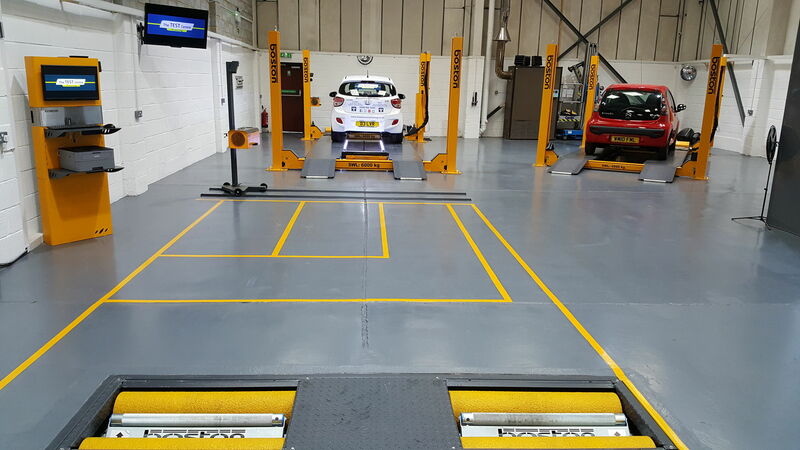 Do you own or are you planning to open an MOT Tester training facility? Boston offers special discounts for MOT training centres which we handle as national accounts meaning that you deal with us directly. To find out more call us on 01708 525585 and ask to speak to Ross or Richard.